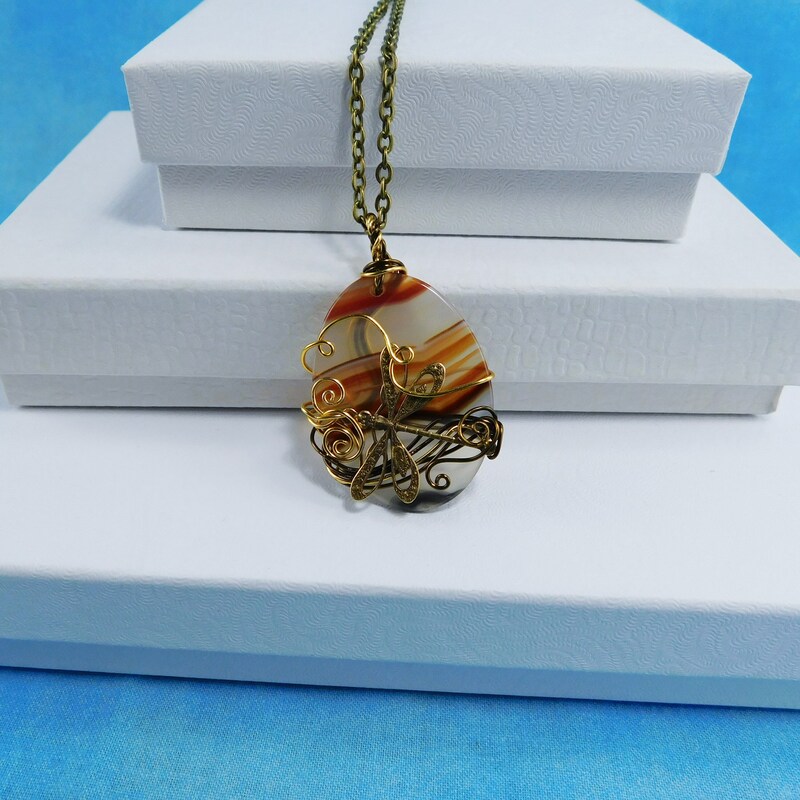 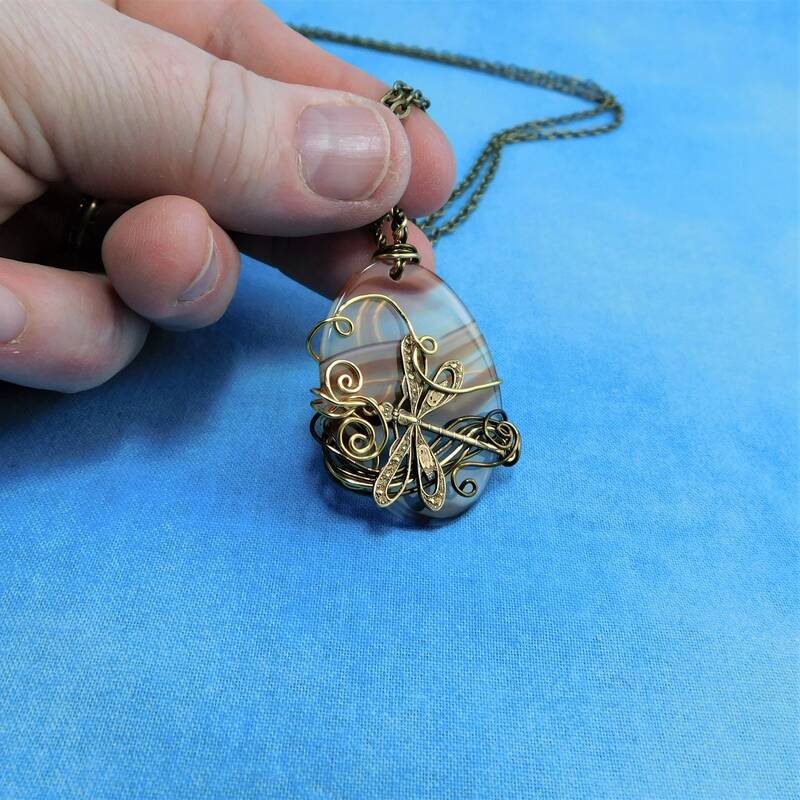 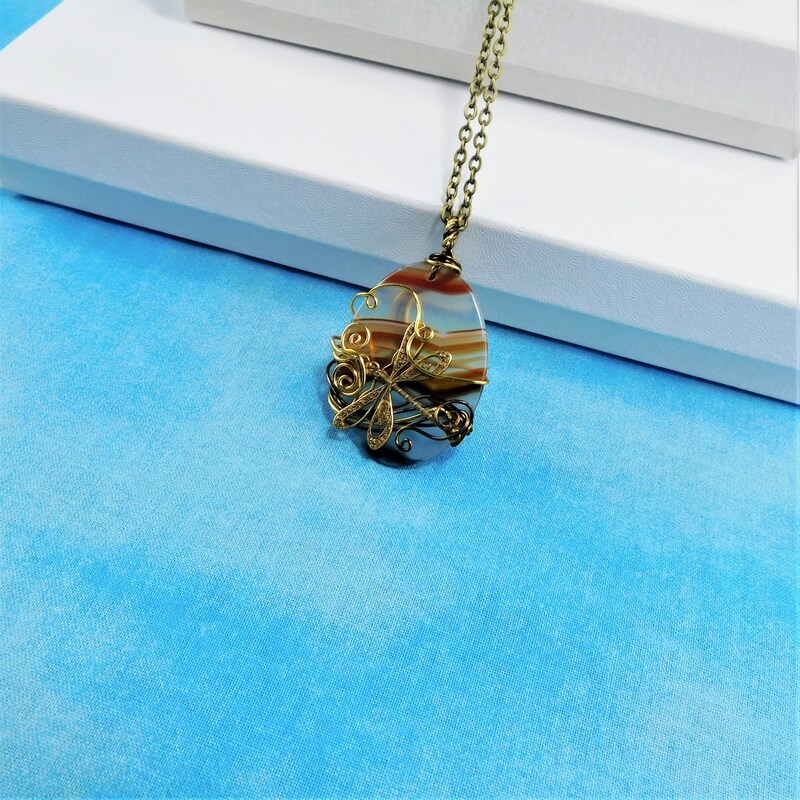 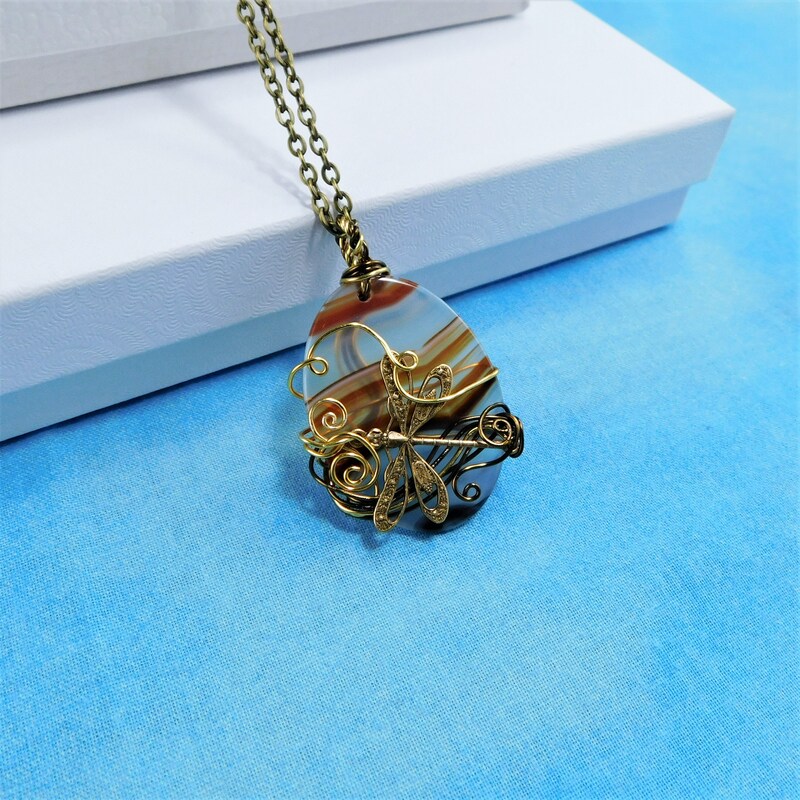 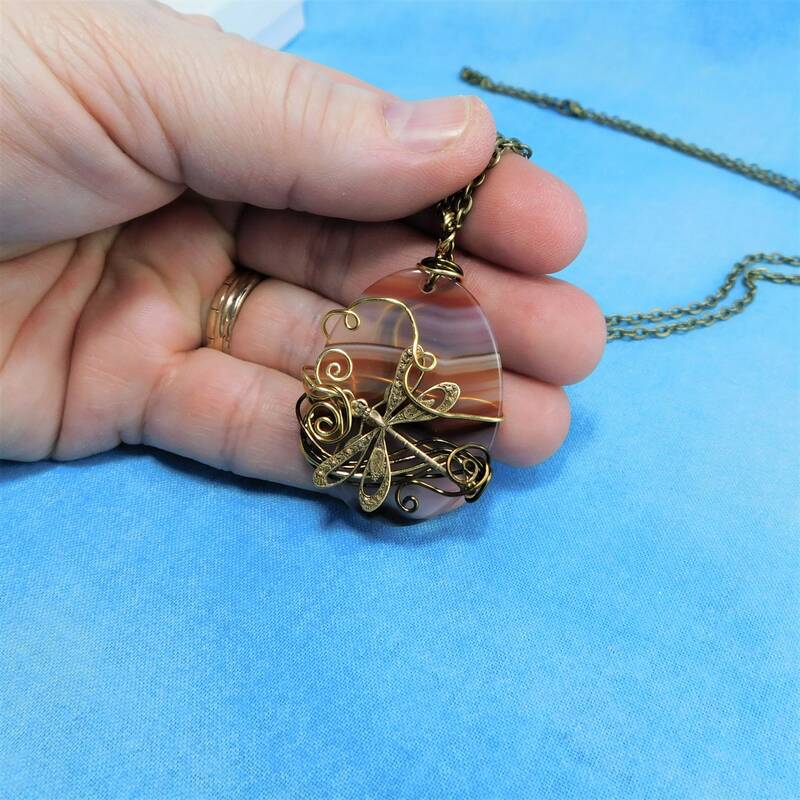 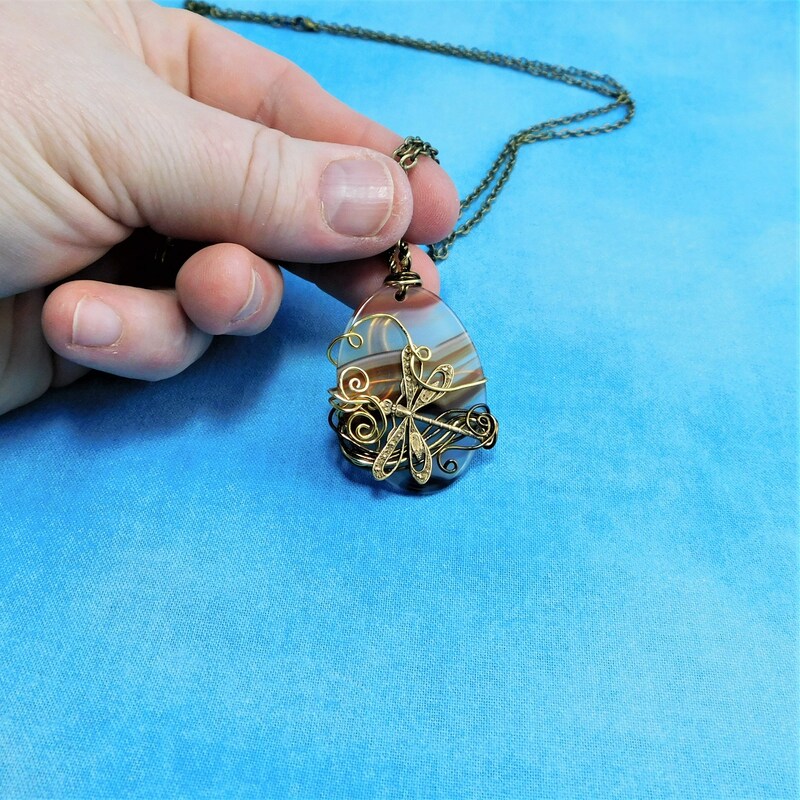 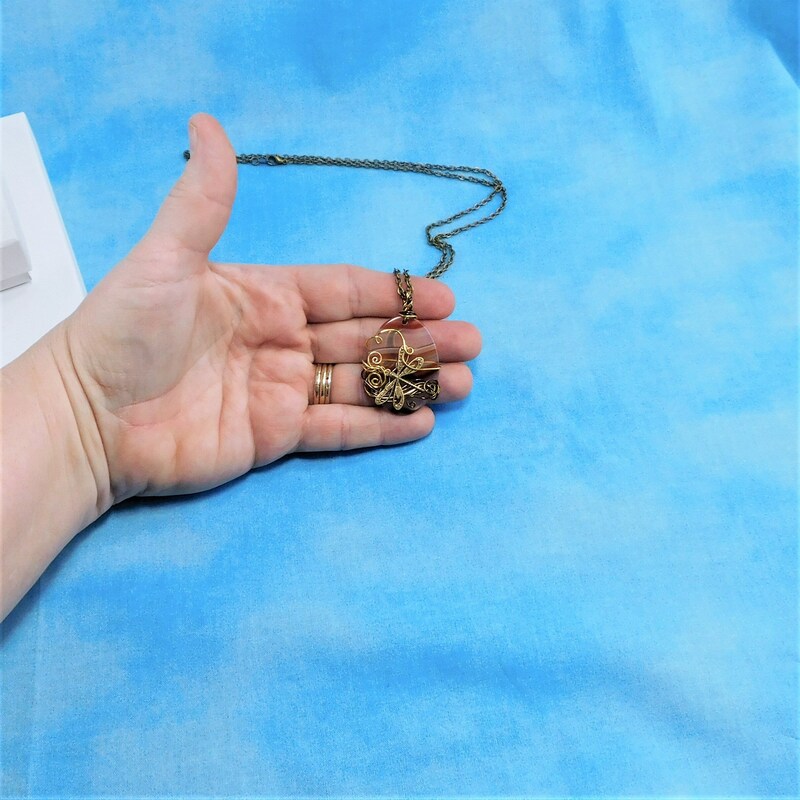 An interesting 1 1/2 inch by 1 1/4 inch thin cut, oval shaped carnelian stone is artistically wrapped and sculpted with three shades of non tarnish colored copper wire, incorporating an antiqued brass dragonfly, creating a lovely pendant style necklace. 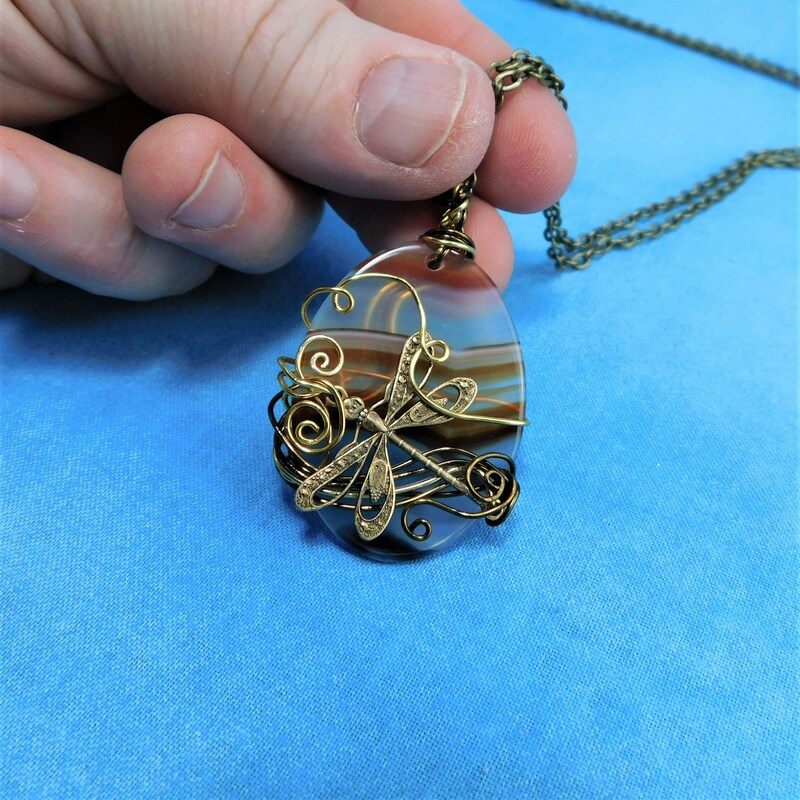 The dragonfly seems to fly against a setting sun that the carnelian stone has glowing from within it. 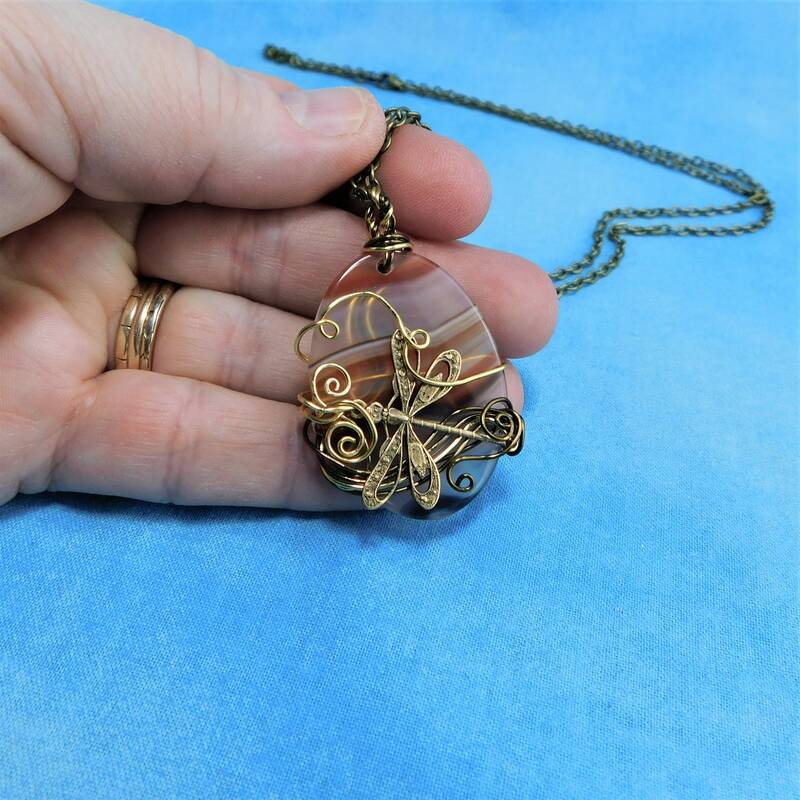 The warm natural rust color is a nice complement to many styles and colors. 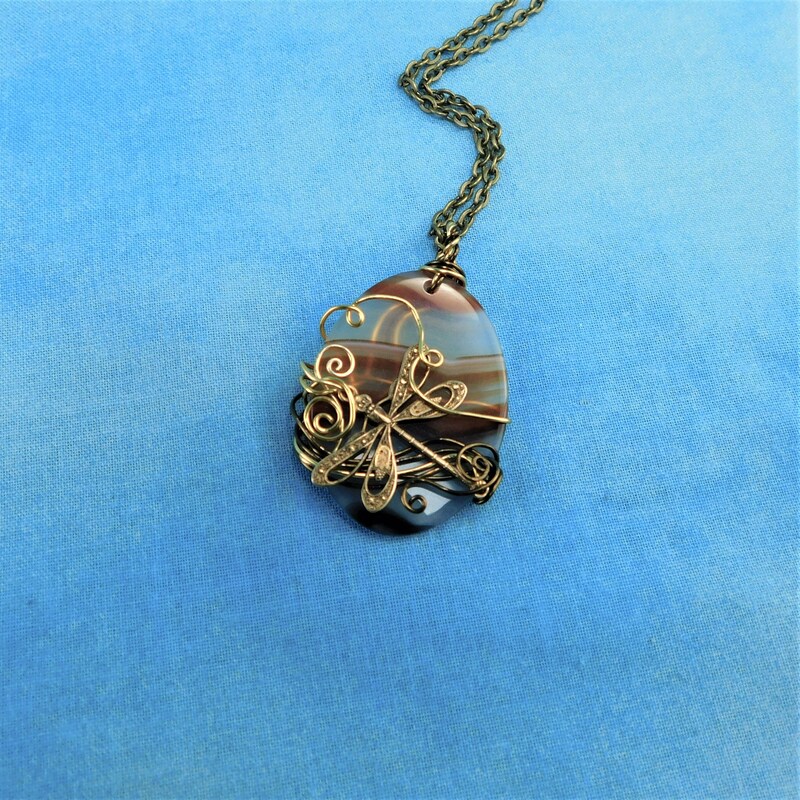 It is the perfect accent for the wardrobe of a lady who has her own unique style.